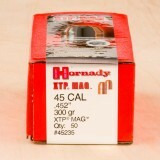 Hornady's .452 inch diameter XTP MAG projectiles are intended for reloaders looking to craft .454 Casull, .460 S&W Magnum, and even high pressure loads for .45 Long Colt. 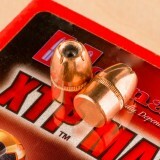 XTP (eXtreme Terminal Performance) Magnum projectiles feature a strong copper jacket which can stand up to high velocities as well as a large hollow cavity with deeply cut segments which produce wide expansion at any velocity. These 300 grain bullets also feature a toothed cannelure which acts as a crimping point to keep bullets from walking out during revolver shooting while preventing jacket separation in order to preserve the deep penetration needed for big game hunting. This box includes 50 projectiles. When you choose Hornady bullets, you're choosing an American tradition of unparalleled craftsmanship and unrivaled technological innovation. Continue the trend by completing your order with Widener's vast selection of other high grade components such as magnum handgun powder and .454 Casull primers. 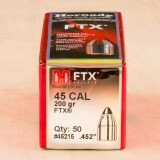 These .452 inch diameter FTX bullets from Hornady are optimal for big bore hunting loads like .460 S&W Magnum and .454 Casull as well as .450 Bushmaster. 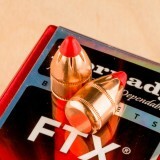 FTX (Flex-Tip) bullets use a hollow-cavity with a segmented jacket which is topped by a red plastic tip. This results in a projectile with the potential for massive expansion on impact that is not only safe to use in lever-action rifles but penetrates more effectively due a controlled expansion rate when fired at velocities higher than handgun levels. 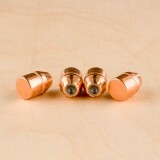 FTX projectiles also feature an Interlock Ring at the base which secures the thick copper jacket to the bullet's core and prevents separation while preserving game-dropping energy and momentum. This box includes 50 bullets. Hornady has been in business for nearly 70 years and is well known for developing projectiles and ammunition to tackle every specific task that hunters, competitors , and law enforcement personnel can come up with. Widener's carries a full range of components including magnum pistol powder and primers to compliment your quality projectile order. 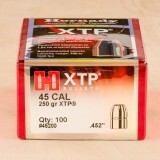 Hornady's XTP bullets are an great option for pistol hunting. 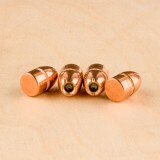 These jacketed hollow point bullets are designed to expand upon impact, causing a massive wound channel that will stop your game in it's tracks. 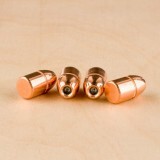 These .452 diameter bullets can be loaded for 45Colt, 454 Casull and 460 S&W Magnum. Each one of these powerful revolver loads will be more than capable of dropping your game of choice. Remember to use a reloading manual, like the ones produced by Speer and Hornady, to develop safe and effect reloading recipes. Check out our selection of Pistol Powders before you check out! 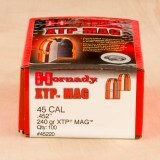 Hornady's XTP jacketed hollow point bullets are one of the best options for reloading large caliber revolvers. 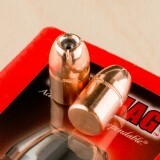 These 240 grain .452 diameter bullets are perfect for reloading 45 Colt, 454 Casull and 460 S&W Magnum. 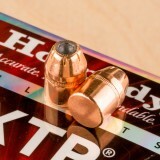 Hornady XTPs are designed to expand upon impact with soft tissue, and will create a devastating wound channel that will easily drop your game. 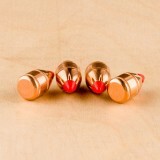 These three calibers are commonly used for hunting wild boar, and is even used for some small bear.